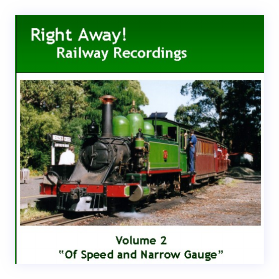 If you have enjoyed some of the clips on this site, which are reduced in quality to speed up downloading, below are some audio CDs containing full length CD quality, digitally recorded and/or remastered (for my older analog ones) PCM recordings, plus plenty more than I could offer here. 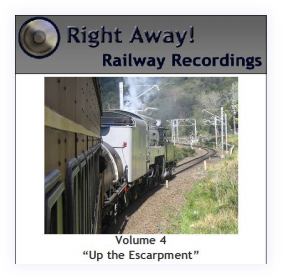 - Volume 4 "Up the Escarpment - This CD features two full length tracks, both recorded on 3801 Limited's "Up the Escarpment" tour. 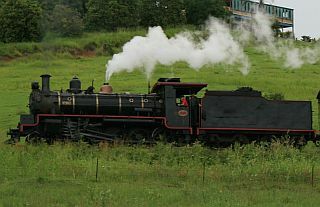 It is intended for those who like to just sit back and relax, imagining they are on board the train as we work our way up hill. 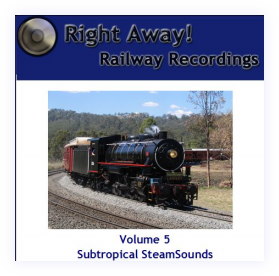 - Volume 5 "Subtropical Steamsounds" - With this CD, I've endeavoured to include the greatest variety of tracks possible, all of QR's active locos are featured (with the exception of A10 No.6) and feature a number of recordings from QR's popular Steam Train Sunday services. 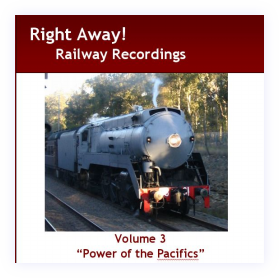 To purchase these CDs, either click on the links on each page, or purchase them by analog means at the Railfan Shop in Melbourne (Corner of Market St and Flinders Lane in the CBD), at Austral Modelcraft in Brisbane (Fairland St, Mt Gravatt), or through Rail Pictures (http://www.trainpictures.com.au/). 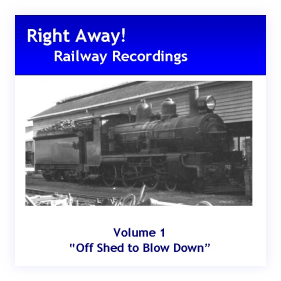 To buy online click on the Buy Now button on the relevant page. 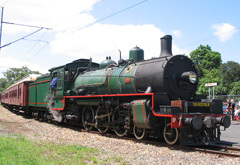 If you don't have a PayPal account, you can still pay through PayPal using a credit card, or please feel free to contact me using the Contact Me page here to arrange other payment options.